Choose Chatsworth as your caregiving partner. 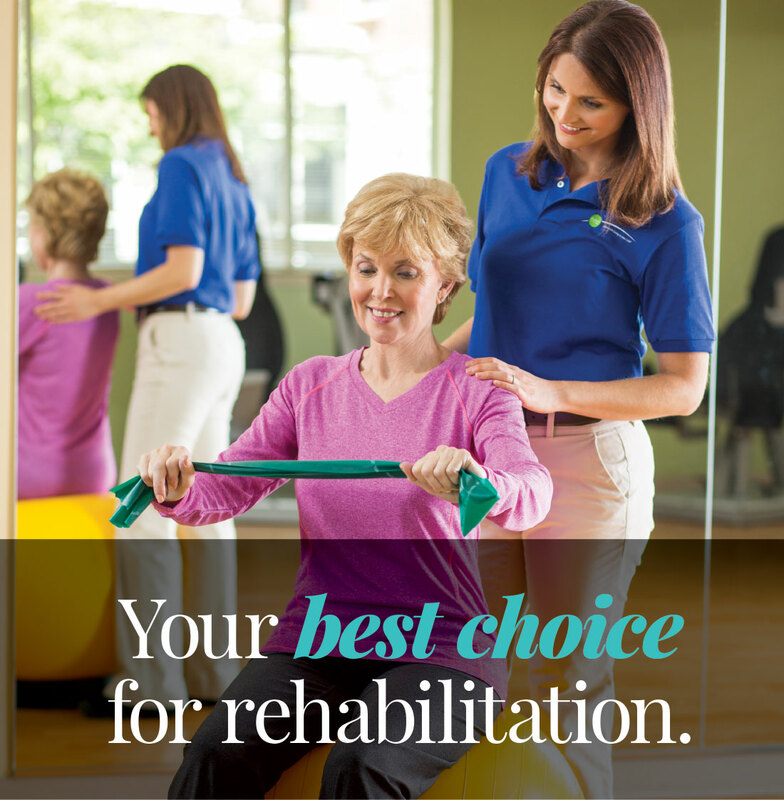 Learn more about rehabilitation at Chatsworth. Fill out the form below or call 1-888-927-1335 to download your FREE brochure. If you’re in need of physical, speech, or occupational therapy following an illness or injury—look no further than Chatsworth in Palm Beach Gardens. Our dedicated therapists work exclusively with adults age 62-plus. You don’t have to be a current Chatsworth resident to receive care here. Recognized by U.S. News & World Report as a Best Nursing Home in 2016–17. Dedicated therapists who are committed to providing the highest quality of care. Coordinated care from one team who knows you and tracks your progress. 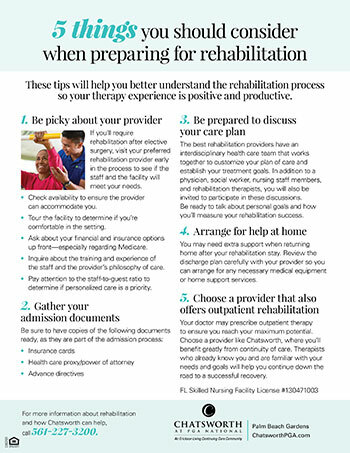 Additional levels of care include assisted living, memory care, and nursing care.